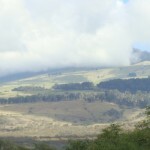 Hanakaoo sign, photo by Wendy Osher. 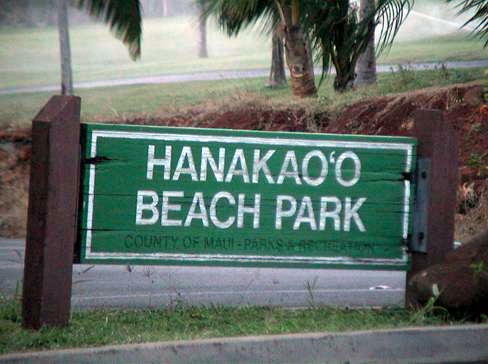 The restroom facilities at Hanakaoo Beach Park will be closed to the public temporarily to allow work crews to relocate portions of the existing sewer main that serves the facility. The restrooms will be closed from November 26 through December 7, 2012. During the planned closure, the shower facility will remain open and portable toilets will be provided. 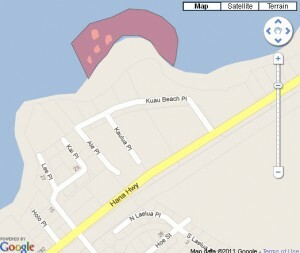 The project is part of the ongoing work on the Lahaina Wastewater Pump Station No. 3 Force Main and Wahikuli Pedestrian Trail Project. County officials say the Lahaina Wastewater Pump Station #3 conveys approximately 1.2 million gallons of raw sewage every day, servicing the Lahaina area from Puamana to the Lahaina Civic Center. The old force main, which was constructed in 1976, is made of ductile iron and was reaching the end of its useful life. 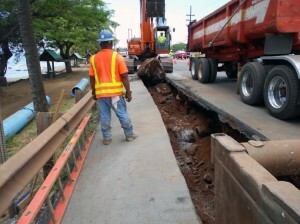 It is being replaced with a new 20-inch force main that spans 750-feet.